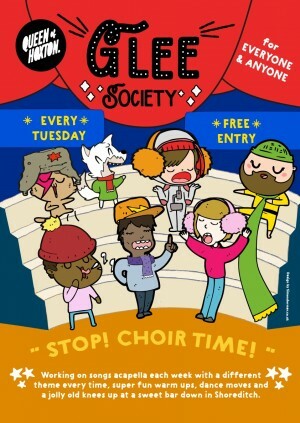 A weekly sing song for guests to drop into every Tuesday at Queen of Hoxton led by Sara Templeman (Musical Bingo / Rockaoke / Sounds Familiar Music Quiz). Working on songs accapella each week with a different theme every time, super fun warm ups, dance moves and a jolly old knees up at a sweet bar down in Shoreditch. 1st session: 7pm for 7.30pm start.